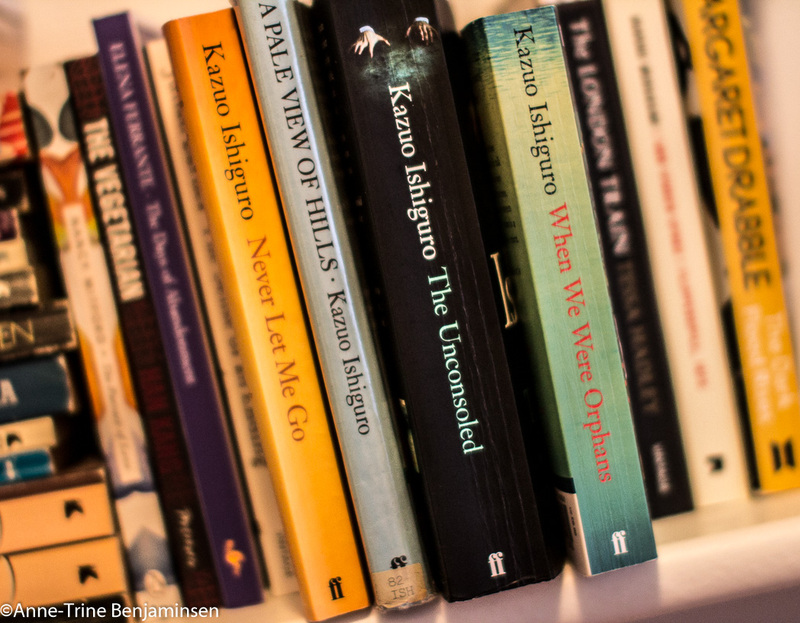 Shame on me, I thought when I read that Kazuo Ishiguro had been awarded the 2017 Nobel Prize in literature. I couldn’t name a single of his titles, which made it obvious that I hadn’t read any of his books. To my relief, I recognised a film title; ‘The Remains of the Day’, which I saw when it was released in 1993, but I had no idea it was based on Ishiguro’s novel by the same title. One should, shouldn’t one, read a Nobel Prize winner. ‘Never let me go’ seemed like a passable start, it’s not a very voluminous book and much acclaimed. It takes quite a few pages before one understands the full extent of the story. The ‘what’s it all about’ is both unexpected and unpleasant. So I wouldn’t in any way reveal the plot, that is Ishiguro’s job – only that I found the book profoundly sad. 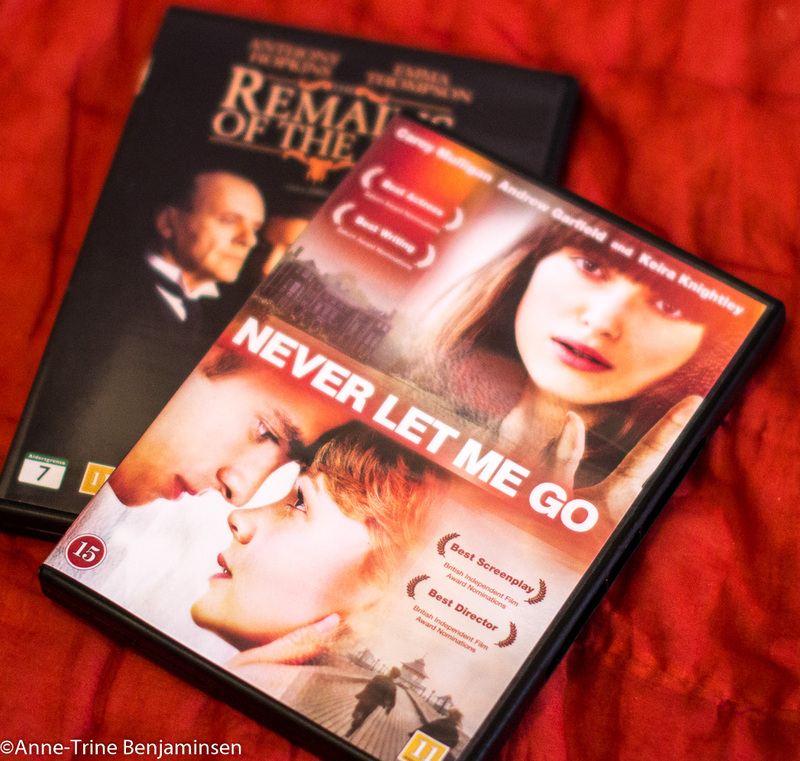 Some people label ‘Never let me go’ science fiction, but I don’t. To me, it’s a novel about identity, fate and choice. Although it’s a very disturbing book, it left me with a serious book hangover and stayed with me for a very long time. The movie was released in 2010. It’s a general opinion that ‘the book is always better than the film’. In this case, I disagree. The film is by no means better than the book, but I appreciated it much in the same way. The film is very true to the book, and the subdued colour scheme underlines the story. And yes, it’s just as heart-breaking as the book. My next Ishiguro was ‘When we were Orphans’ (2000). It is elegant, entertaining, at times it almost reads like an old-fashioned crime novel. Set in the 1930s, in England and Shanghai, it tells the story about a renowned detective, Christopher Banks, who goes back to Shanghai to track down his parents who disappeared when he was a child. A vast part of the book is a flashback where Banks’ childhood is told in a very enjoyable way although the book has its sad and dark undercurrents. 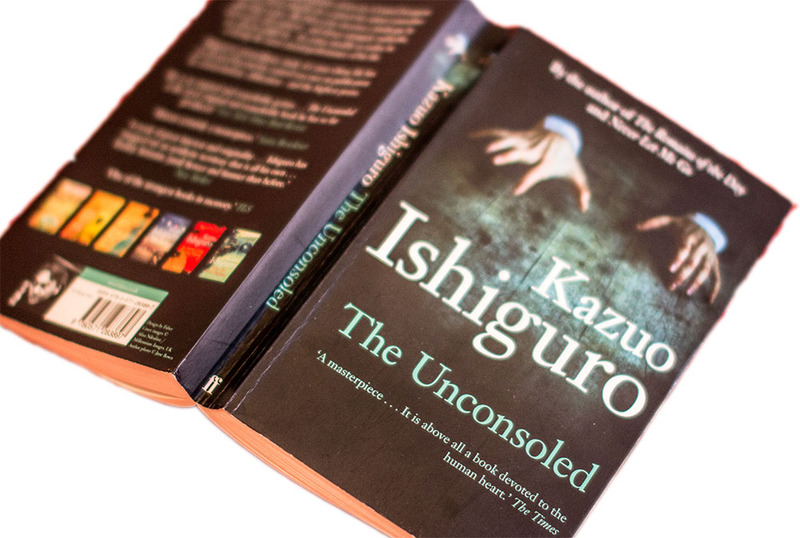 ‘The Unconsoled’ (1995) is told to be “advanced Ishiguro”. I read somewhere that the book is “either a masterpiece or an incomprehensible wreck”. The number of pages of the books I was reading were steadily increasing, and since I had enjoyed the latter two so much, I thought The Unconsoled’s 500 + pages would be share joy! After 50 pages, I thought I’d either leave it with that, or promise myself to finish it. The only reason the book didn’t put me off completely, was the writer’s language. More of that later. ‘The Unconsoled’ has neither head nor tale. The book jacket reveals that, “Ryder, a renowned pianist, arrives in a Central European city he cannot identify for a concert he cannot remember agreeing to give.” So, it might have a head (slightly unsettling though), but certainly no tale. As the story unfolds, confusion arises and steadily increases. People seem to float around in a world where all normal perceptions of time and place have ceased to exist. Mr. Ryder is surrounded by an absurd bunch of people, and as they move around there is nothing else to do than go with the flow. The book is simply bizarre. (And what’s more, I tried to read a review in The Guardian, and realised I would simply need a review to understand the review …). Back to his language; I also read somewhere that you never need a dictionary while reading Ishiguro. True. Not that his language is simple (yet it is, in a way), but words and sentences are floating seamlessly from page to page. It’s like reading velvet. So, no matter how odd the book is, how long the monologues are, how irksome the story is – one cannot remain unaffected. I went to the library in order to pick up the rest of his work, not quite put off by Mr. Ryder and his quirky crowd. The librarian admitted to have given up ‘The Unconsoled’ only after one chapter – which makes her one of the many drop-outs this novel seems to produce – and subsequently admired my stamina. I’m not at all able to decide if it is a masterpiece or not. But it is without doubt the most original peace of writing I have ever read.